In the Aloha State, we’re used to sky-high prices for groceries and fuel because of an old protectionist shipping law known as the Jones Act. But the Jones Act is not just a Hawaii problem — it’s a national problem. The Jones Act, also known as the Merchant Marine Act of 1920, adds costs by preventing waterborne merchandise from being transported between two points in the United States unless it’s done on an American-built ship. The ship also must fly the American flag, be 75 percent-owned by Americans and be 75 percent-crewed by Americans. 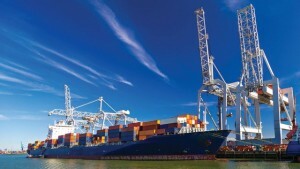 The report shows that industries across the nation could save millions of dollars if the Jones Act problem were fixed, including the water sector ($1.5 billion), chemicals ($103 million), air transportation ($91 million), steel ($50 million) and lumber ($32 million).The Jones Act may soon drive the price of gasoline higher because of proposed changes by U.S. Customs and Border Protection. Previously, many oil firms had an exemption from the Jones Act for certain operations, but now U.S. Customs and Border Protection has proposed removing the exemptions. This imposition of the Jones Act could cost the oil industry $4.3 billion, and cause a loss of 30,000 jobs in 2017, according to a study by the American Petroleum Institute (API).The larger impact would be $90 billion in lost gross domestic product, hitting states like Texas, Louisiana, Alabama, and Mississippi especially hard, according to the API study, which also showed that the proposed Jones Act imposition could lead to a reduction of 500,000 barrels of oil and natural gas production every day. The Jones Act affects industries across America in different ways. In the timber trade, the Jones Act makes it almost prohibitively expensive to ship lumber from the Pacific Northwest to the East Coast. In the road salt industry, the mid-Atlantic states import road salt from Chile and Mexico rather than buying it from mines in Ohio and Louisiana, due to cheaper transport costs. In addition, American companies lose out to foreign competitors on business deals because of America’s higher shipping costs. U.S. steel plants hungry for scrap metal, for example, avoid deals with American sellers because of the exorbitant costs of coastwise shipping. Relaxing the Jones Act would lead to an economic boom for many industries across the nation, and provide more goods at lower prices for American consumers. However, many people are simply unaware of the impact that the extra shipping costs of the Jones Act has on their lives, and efforts to change the law have been rare. Reform could lead to costs savings of between $5 billion and $15 billion annually for Hawaii, Alaska and Puerto Rico alone, according to a study by the International Trade commission. The total is estimated to be even greater for the contiguous U.S., but no study to date has quantified this. Apologists for the Jones Act, including representatives of the American domestic shipping industry, argue that it’s impossible to estimate the costs of the law. 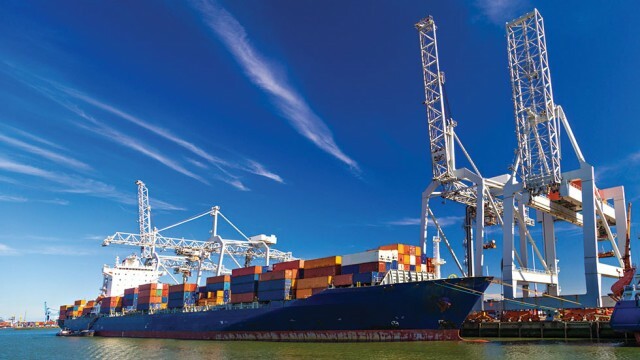 The American Maritime Partnership, in particular, argues that numerous laws associated with domestic commerce, such as increased tax burdens, would add costs, diminishing any savings from relaxation of the federal law. Even if this were the case, any economic costs of reforming the Jones Act would be more than offset by significant cost savings to industries and consumers. Doing so could still save the American economy hundreds of millions, if not tens of billions of dollars every year. The Jones Act has raised prices for American consumers and distorted the U.S. economy for almost a century. It’s time to fix the problems associated with this outdated law and welcome a new era of economic prosperity and trade. Keli’i Akina, Ph.D., is president and CEO of the Grassroot Institute of Hawaii (@GrassrootHawaii), a public policy think tank dedicated to the principles of individual liberty, free markets and limited, accountable government. Published on the Hill News paper. Next story Let the Facts Free the People.